Barbara Quinn's short stories have appeared in print and online magazines and journals, including Muse Apprentice Guild, The Ledge and laZer. Her short story, The Clambake, was nominated for a Pushcart Prize in 2002 and her work has won awards from Writer's Digest and the Melic Review. She has been a Features Editor for Strictly Scarsdale, a reporter for The Scarsdale Inquirer, and for a time wrote a legal column for laymen for a local paper. 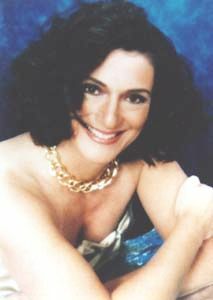 She is the Publisher & Managing Editor of the award-winning The Rose & Thorn Literary E-zine, (http://www.theroseandthornezine.com/ (established 1998) The zine's honors include being named one of Writer's Digest's 101 Best Websites for Writers, one of Writer's Digest's top five "Internet Envy" sites and Top 30 Fiction Markets, and being named a Preditors & Editors Truly Useful Site. 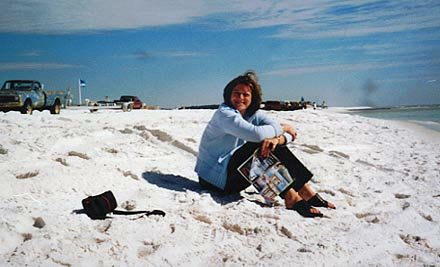 Barbara loves to travel and has visited 47 states, plus many countries on four continents. She's ridden a camel in the Canary Islands, attended the opera in Vienna and spent time in an absinthe bar in Budapest. When she was 19, she hitched across Europe with a backpack. For a time, she owned a motorcycle, and a pink-suede biker jacket. For ten years she practiced law. She held the position of North Salem Town Attorney, and Westchester Assistant County Attorney, and spent time in private practice, writing everything from zoning ordinances to manure pile rules. Before that, she worked at many jobs including, process server, lingerie sales clerk, waitress, and postal worker. She's a native New Yorker, born in the Bronx, and raised on Long Island and in Westchester. Currently she resides in Rockland County, NY and Bradley Beach, NJ with her husband, Tom. She is the author of four novels: 36C chick lit/women's fiction, Slings and Arrows, paranormal romance/dark humor, The Speed of Dark, fantasy, and Hardhead, suspense. Download Add to Cart $4.50. When her husband leaves her for her best friend, Ellen D'Este loses her ability to enjoy her work as a massage therapist and her life begins to unravel. A friend convinces her to attend a session with a female spiritualist. Ever the skeptic, Ellen resists the pull of the shady Miss Wendy, but falls for the handsome Mark Vernon, a disciple of the spiritualist. As time passes, Ellen is plagued by visions and strange occurrences that test her beliefs and feelings. Can she find love, faith and the ability to massage again or will she be the unwitting pawn of a charlatan?. and of traveling to Venice. One summer I worked as a lingerie sales clerk in a department store. I had wanted to work in cosmetics but to my embarrassment they placed me in lingerie. I'd hide in the stock room with a book and I also spent a lot of time fluffing and folding, just like Tressa in 36C. I thought it would be a fun setting for the story of a young woman trying to make it on her own. What's you usual writer's day like? I write almost every day, anytime but the morning. (Watch out for me when I wake up as I'm a real grump!) If I don't write for a few days, I start feeling antsy and become more cranky than usual. I write for only for a couple of hours. A typical day is to wake up and hit the gym or run errands till my brain is awake. Then I work on The Rose & Thorn Ezine (I'm Publisher & Managing Editor) as my "throat clearing." Late in the afternoon my creativity will kick in and I'll do a few pages. I do all the usual things that need to be done around a house like the laundry, going to the dry cleaner and bank. I cook dinner during the week. Oh, and I can procrastinate with the best of them. My family is a vocal Italian-American family and we've stayed in the same area in or near NYC. They're very loving and very loud. My Dad was born in Reggio, Calabria, so I'm a "hard head" or "testa dura" in Italian. He taught me endearing things like cracking walnuts on my forehead. My husband's of Irish descent so that's where the Quinn in Barbara Quinn comes from. I have one son, Bret. Not right now, but I do enjoy dogsitting for my son's girlfriend's dog, Luna, the cowardly pitbull. She thinks she's a lap dog. I have to leave a night light on for her as she's afraid of the dark. She also likes to watch Animal Planet and to listen to Cool Jazz. I love wine and food and the beach! I have a small garden where I grow my own herbs and zucchini. I harvest the zucchini flowers and either fry them or add them to omelets or fritters. I've been exploring South American red wines lately and for whites I've been drinking a lot of Viogniers. And Prosecco! It's Venice's sparkling wine and I love it! There's a place in Ocean Grove, NJ that we can walk to for brunch on Sundays bringing along a Prosecco (many restaurants in NJ are byob). We get a couple of glasses of OJ and add some to our glasses of Prosecco. Outside is the lovely ocean. Life doesn't get any better! I find that the ocean clears my head out better than anything. My grandfather always said, "The salt water can cure anything." My husband and I love offbeat theater productions as we're not that far outside Manhattan. I belong to a couple of discount theater clubs. We also love the music scene in Asbury Park, NJ. And then there's the beach. I enjoy walking by the shore in any season at all. The colors and sounds change every day. What place that you haven't visited would you like to visit? Machu Picchu. It looks so beautiful in the pictures I've seen. Hmmm...I should say something profound here, huh? How about, "We're all going to the same place, so we might as well enjoy the ride." I learned that from my fun-loving Dad.